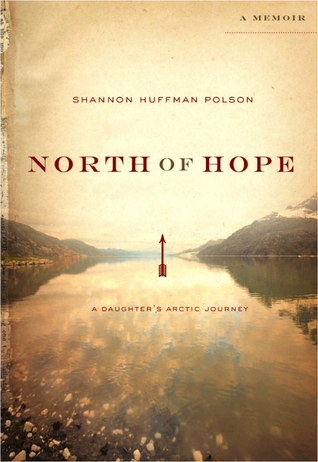 One year after her father and step-mother are mauled to death by a bear during a remote Alaskan kayak trip, Polson takes the same trip herself for reasons she had yet to discover, but intrinsically knew would be a salve to her grief. Polson takes the risky trip with a brother she didn't trust and a woman she had never met before. Polson's trip is laden with flashbacks that reveal her relationship with her father as well as pages from the diary her father and step-mother wrote on their final kayak trip. This memoir is a phenomenal book in so many ways. In its purist form, this is the story of a daughter searching for meaning with the loss of her father. Perhaps, by walking his final steps she will feel his presence and proof of an afterlife. It's a story of tenuous family relationships, a story of finding meaning in life, a story of outdoors adventure and nature exalted. A story of compulsion. "I could move toward their final campground and find them and hold them close... I knew that if I did not break loose, I would be pulled down into the place called death and would not be able to return." "The river flowed by, running, always running. I wanted it to stop, I wanted it to flow in reverse. I wanted there to be a dam in the river somewhere far back in the mountains, a lake to catch the water and keep it safe for swimming, for drinking, for watching sunlight dancing on the surface of still waters. But the water flowed mercilessly north. There was healing in the tyranny, and tyranny in the healing." Polson has a biting tongue attitude toward her siblings, harsh and conflicted feelings toward fellow travelers. I found myself curious to hear her brother's side of the story. There is an undercurrent of disdain as well as a proprietary stake to her father that I found suspicious. Me thinks she doth protest too much. But even that pulled my heart strings. 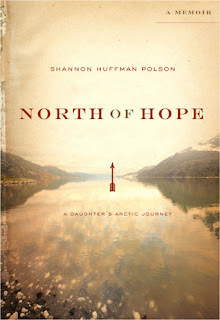 Shannon Huffman Polson is larger than life. She's an attack helicopter pilot, a singer with the Seattle Pro Musica, a scuba diver, sky diver, climber; a Trailblazer Woman of Valor, she has climbed Denali and Kilimanjaro, completed two Ironman Triathlons and now she's a writer. And a really, really good one at that. Great review. I also read and loved this book. It’s the kind of book that stuns you with its beauty, even as it describes some difficult things. I have not suffered loss like Shannon did and yet her observations felt applicable to my life–I found myself nodding in agreement at her insights about grief, God and the way that any suffering transforms and strengthens us–eventually. She did not pretend that this was an easy journey, but ultimately, it was a hopeful one. I also recommend it. The Author’s blog at http://aborderlife.com is also a must-read.